This large tortoise reaches a shell length of almost 2 feet and occurs over the vast savanna areas of Africa and up into the lower mountains. They are beautiful animals with a high, domed carapace; each scale of the back is marked with an irregular pattern of black and yellow. 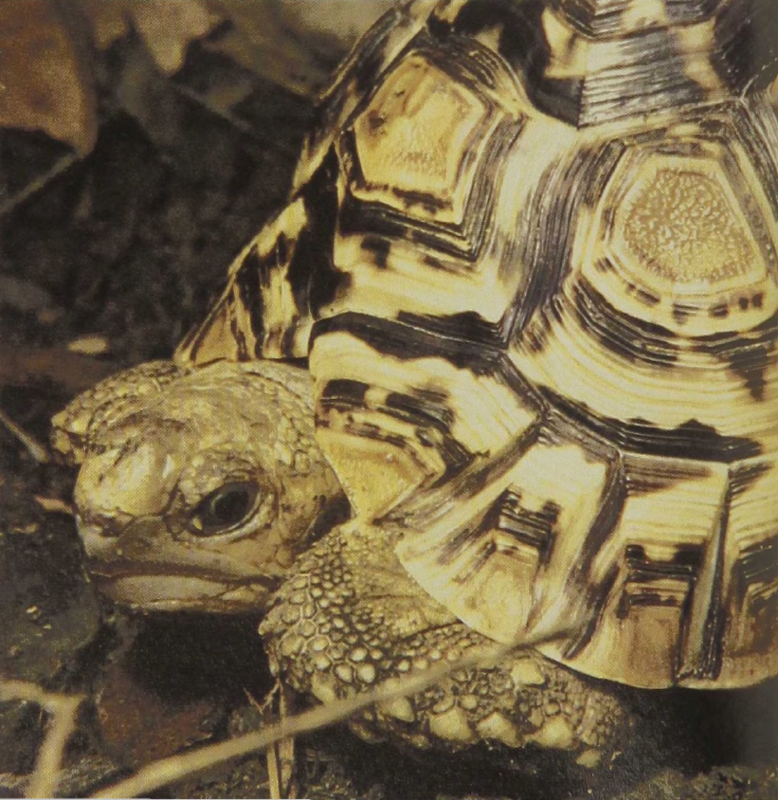 India and Africa show several related species of tortoise in which the coloration is more geometrically regular. For instance, the Star Tortoise of India shows a radiating series of yellow lines on each dark-brown scale. Leopard Tortoises feed almost exclusively on grasses and the fruit of low-lying bushes. The shell is very stout and provides some protection from larger predators, although not from man. The size of wild populations may well be limited by periodic grass fires, which they can escape only if a river is nearby or when they can enter a burrow.